The cathedrals of storytelling in this coming century will be long-form masterworks of very complex characters, many subplots, unreliable realities, all interwoven. The TV drama series is fast becoming the premier medium, and, the key to the long form TV series is character development, character complexity and character revelation. McKee’s former students include over 60 Academy Award Winners, 250 Academy Award Nominees, 170 Emmy Award Winners, 500+ Emmy Award Nominees, 30 WGA (Writers Guild of America) Award Winners, 180+ WGA Award Nominees, and 26 DGA (Directors Guild of America) Award Winners, 52+ DGA Award Nominees. THE ART OF THE LONG FORM With the maturation of the internet, story on television is entering a completely new era – its Golden Age. The all-new TV Day takes advantage of this new paradigm by bringing you the tools and skills to master its challenges. Robert McKee says that if he were a young writer he would work in TV, which has progressed further than the big screen in recognizing the importance of writers and in giving them creative power. This is why the today’s best writing is on TV. The genres of Genre Week are the content of television – Crime Thriller, Comedy, Love Stories, and Action. But modern television is the evolution of the epic poem, begging for characters complex enough to sustain 100 hours of story. A TV series contains hundreds of acts and thousands of scenes. The art of the long form is an art all to itself. Be there as McKee breaks down the complex plot and character design of BREAKING BAD, one of the greatest TV series in history. Learn what made Walter White one of the most multidimensional characters ever written, and why this complexity is key to the 100-hour drama. McKee’s showrunning alumni have created, written and/or directed many award-winning series: SHOW ME A HERO, THE AFFAIR, DOWNTON ABBEY, THE SOPRANOS, BREAKING BAD, VIKINGS, GAME OF THRONES, HOUSE OF CARDS, THE OFFICE, DEXTER, THE KNICK, RAY DONOVAN and many more. PLEASE NOTE: For TV DAYs, Mr. McKee requires that attendees watch all 62 episodes of Breaking Bad prior to the event. The full series is available on DVD and on Netflix for ease of access. 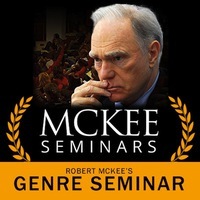 If you cancel 10 days or less from the event date your full tuition will be forfeited, but you may apply it to a future McKee Seminar of the same type within two years of your first scheduled seminar. If you cancel more than 10 days prior to the event date, you have the option to apply it to a future seminar within two years, or you can be refunded your money less a fee that will be retained to cover administrative costs. The fee varies based on seminar. 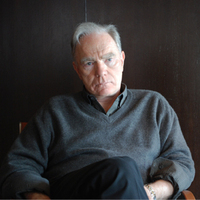 Robert McKee, a Fulbright Scholar, is unique among writing mentors. No matter what your writing credentials or story medium, your next project calls for an absolute command of creative decisions. 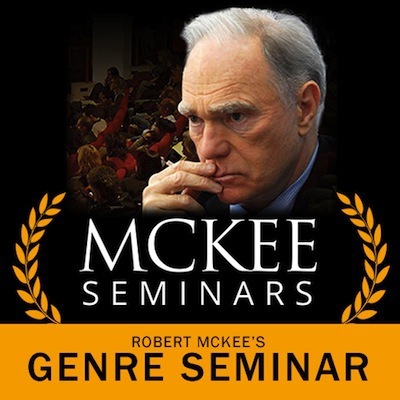 With his distinctive blend of award-winning scholarship, professional acting, and directing experience and craft knowledge across all media, Robert McKee helps writers think beyond formula and take the best story decisions of their career – be it in cinema, literature, theater or television.